So you’re looking to buy a scooter for your son or daughter, and the process isn’t as simple as it used to be. 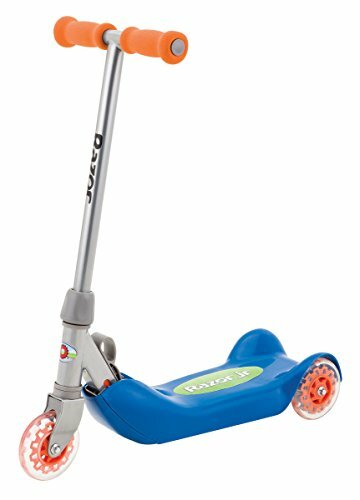 Once upon a time you would simply walk into a Toys R Us or another toy store and pick a scooter off the shelf. But as we all know those days are long gone. Toy Stores are almost like Blockbusters they are basically extinct. In some affluent neighborhoods, specialty stores are still hanging on and providing a place to walk in, see, feel and engage with some items. Even still there are some disadvantages to trying this approach because due to cash flow issues, stores just can’t stock a wide enough variety to really compare all the options. Here are the top 3 scooters for kids on the market in 2019, these were picked by considering price, value, and durability. That’s where we come in, we can compare all the scooters you might be thinking about buying and give you a verdict on which ones are good choices and which ones aren’t. We’ve carefully gone through the scooters available and rank them based on price, value, durability and consumer feedback. This formula will help separate the good scooters from the pretenders and ultimately keep your kids smiling. 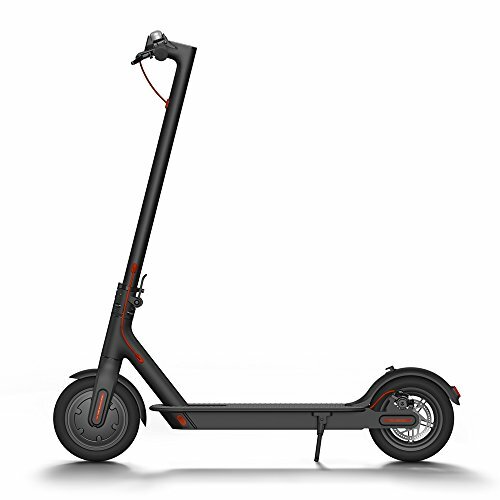 Price: We base our price rankings on the lowest price you can get the scooter. Sometimes these prices are promotional. Also in the eCommerce world prices fluctuate a lot so take the pricing with a grain of salt. Value: Value is probably the most important factor to consider when buying scooters for your kids. A scooter is no good if it’s broken so you’ll want to spend a reasonable amount that you get a good product that will last and bring enjoyment to your kids. 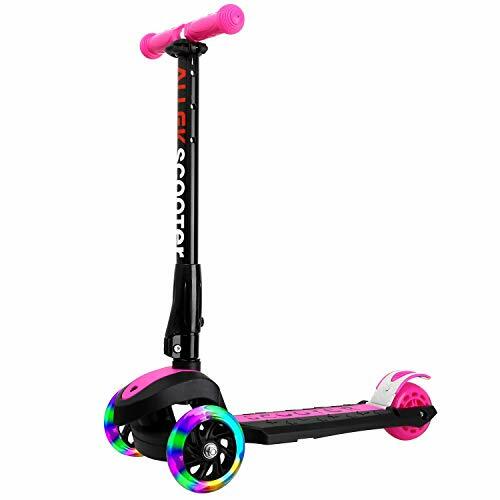 Durability: Pretty simple here, you want a scooter that will last and take some punishment that your kids will dish out. Consumer Feedback: What others are saying is extremely important to you the consumer and even the companies that make the product. When a scooter isn’t any good it WILL certainly receive criticism from others who have tried it out. So looking at what others are saying about the scooter you are considering is key to your ultimate choice. If you like our approach leave us a review at the end of this guide. Above are the best scooters overall for your kids as we continue on we will break down the best scooters by age group and style of the scooter. Micro has been making great scooters for kids forever. They have a legacy of excellence in their products, based on value, durability and consumer feedback. This particular model features a three-wheeled platform with an adjustable handlebar. The latter feature is extremely important because you won’t have to replace the scooter after a year or so. Adjustable bars allow the scooter to grow with your kids as they get taller. Overall this scooter is a great choice, while it isn’t cheap the value is outstanding. You’ll bring home a scooter that will provide your kids with hours upon hours of fun. Remember to take note this scooter is recommended for kids ages 2 to 5. 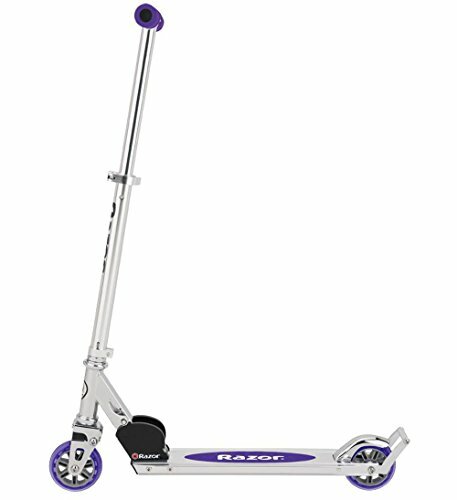 Razor is the classic kick scooter, and the design is still going strong all the while being received well by the public. This scooter is recommended for kids a little older with a starting age of 5 years old. Razor’s A2 kick scooter has a few upgrades from the original Razor scooter. Added on this model is the springless front suspension and wheelie bar. Your kids will be able to perform wheelies all the while enjoying a slightly more comfortable ride. One of the major reasons for the A2 ranking so high on our list is the fact that it is backed by Razor. You can be confident that they will back their products so you won’t have to worry about the value you’ll receive. At sub $48.00 you can’t lose! 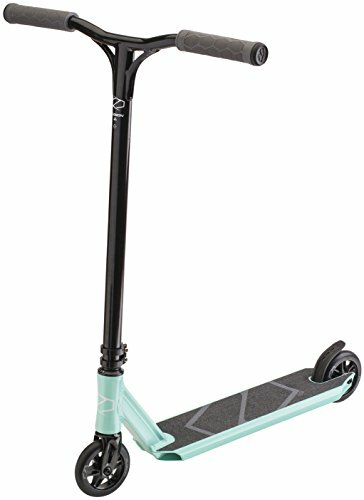 This is the only scooter on the list that can go just about anywhere, ride through grass, puddles, or regular paved streets. One thing to think about is that this scooter is a lot larger than the others so only an older kid can truly enjoy it. 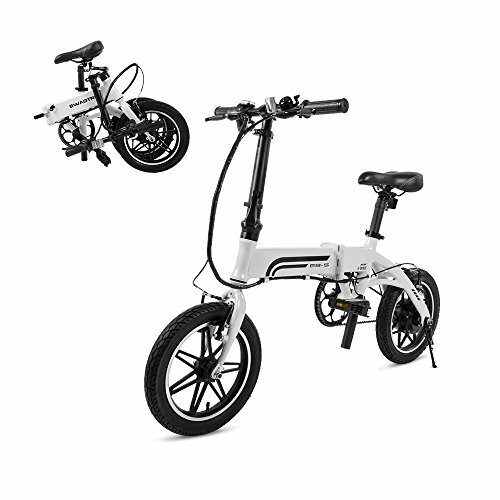 X-3 by Fuzion is an extremely popular scooter, kids and parents love it. 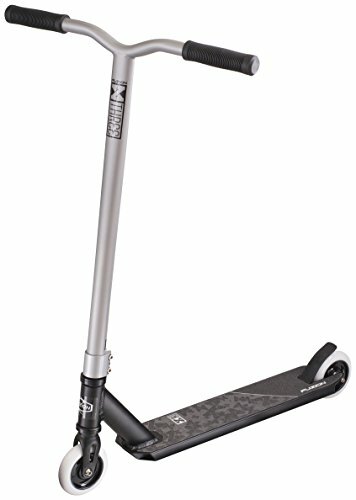 However the Pro X-3 is a stunt scooter or pro scooter, this means that it is catered towards trick riding. 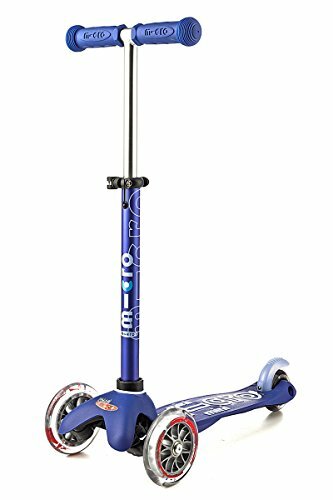 If your kids are into YouTube and watching scooter riders do all the cool tricks, this is the scooter to buy them. Available in a wide variety of colors and backed by a strong manufacturers warranty you can’t go wrong! High-end specs – IHC compression system with sealed bearings and Fuzion’s new 3D Stamped Steel FAZE Fork. Easy to Assemble – Only three bolts to tighten – you can start riding in no time at all. Dialed and ready to ride right out of the box. 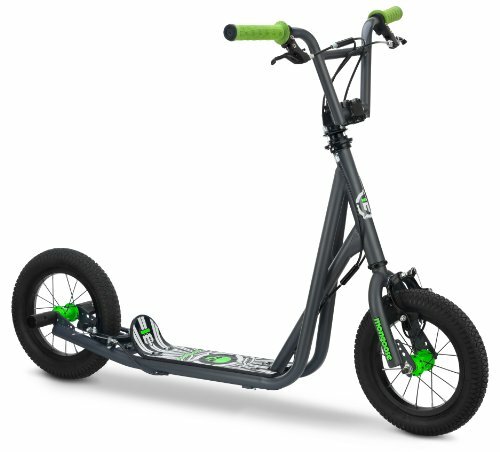 If you are set on getting a pro scooter for your kids and you want something really nice go for the Fuzion Z300. Think of this scooter as being the X-3 but 2 times better. Fuzion spares no expense on this scooter as it is equipped with some of the same parts professional scooters have. 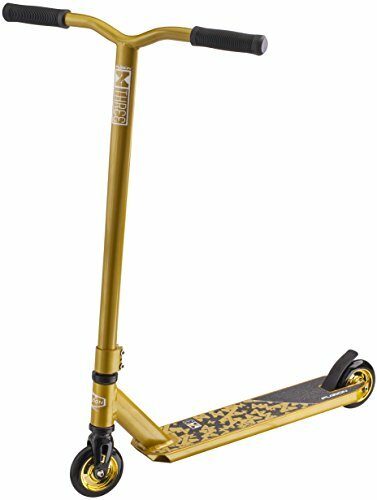 100mm wheels, Chromoly handlebars, pro-style deck and premium grips are just some of the features on this stunt scooter. You will be the parent of the year if you bring home the Fuzion Z300 pro scooter. Value is off the Richter scale for this model as this scooter would cost almost $250 if bought piece by piece. WELT-BUILT SCOOTER -- Glass Fiber Pedals with Anti-Skid Zebra Stripe Design. Unique Front Wheel Steering Device. High-Strength Aluminum Alloy Pipe. T Style Handle Bar and Lifting Lock Which Can Adjust to 4 Heights (24.8in-35.43in). Easy to Fold and Carry with Its PATENTED Folding System. Ideal for Travel or Storage. STABLE 3 WHEEL DESIGN -- Unique 3 Wheel Design Makes Our Scooters Stable and Safe. Wide Pedals and 3 Wheel Design Makes Riding Fun and Easy for Kids of Any Skill Level. Simply Hop on and Start Scooting. PU LUMINOUS WHEELS -- High Quality and Flexible PU Wheels of 2 Luminous Wheels (120mm) and 1 Large Back Wheels (80mm). The Luminous Wheels Which Contain Magnetic Steel will Brighten with the Increase of Rolling Speed. PU Material Will Protect the Wooden Floor from Scratch. INTELLIGENT TURNING -- You Can Control the Turning and Keep Balance Easily by Your Physical Incline. The Kick Scooter Have the Feature of Rear Brake Design. When Child Tread on the Rear Brake, It will Stop Quickly. The High Quality Aluminum Reinforced Brake Pedal is Easy to Use and Makes Scooting Stable and Safe. Parents looking for 3 wheeled scooters, the Allek kids 3 wheeler could be a good option. 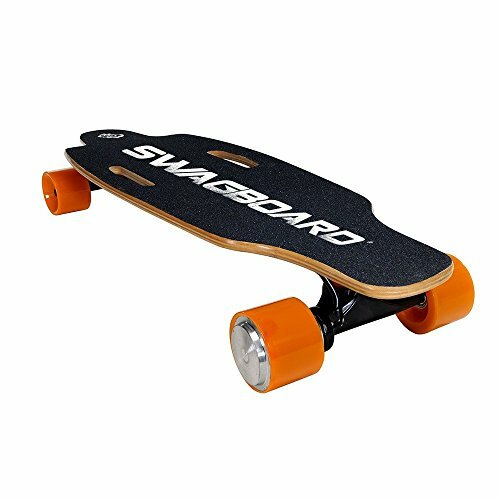 Think of the Micro Mini Deluxe scooter but a lower price point and LIGHT UP WHEELS! Everything about this scooter is ripped off from the Micro which isn’t a bad thing at all. Every spec evens up with the Micro and Globber three-wheelers. Three-wheeled scooters, in general, are great for youth development, these scooters will help with balance, coordination and overall mental health. 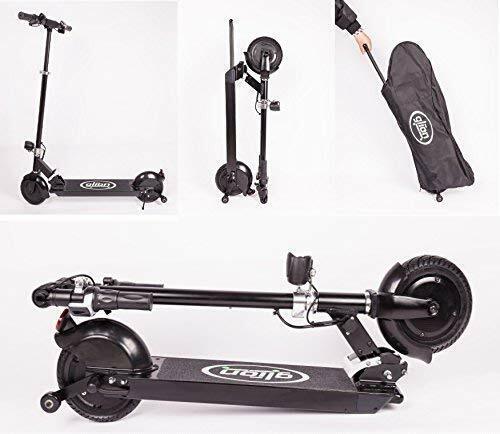 What’s even better is that this scooter folds down so its portable you can easily throw it in the trunk of the car and get to the closest park. Available in 6 colors you’re sure to make your kids happy! Although the Razor Delta Wing isn’t the typical three-wheeled scooter it does have three wheels and its a blast. The DeltaWing steps up to the next level of three-wheel action. Large pneumatic front tire and low-angle rear casters make the self-propelled DeltaWing a powerful scooter to glide through sidewalks. Your kids will love the Razor Delta Wing, but it might take some time! This scooter isn’t the classic scooter by any means which basically suggests that your kids will have to learn to ride it. The rear caster style wheels make the scooter glide from side to side when weight is shifted. We’d have ranked this three-wheel scooter higher but due to its “unique-ness” it falls down to seven. Remember since it is produced by Razor you’ll get a quality product and a nice warranty if you aren’t satisfied. 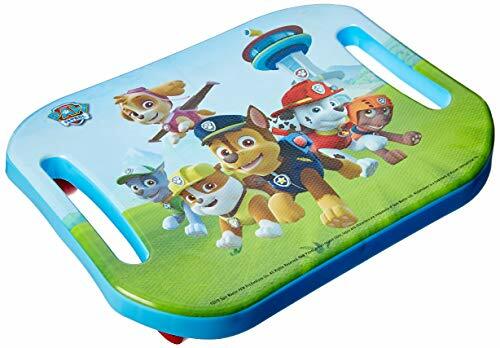 This scooter board for kids isn’t technically a scooter but for younger kids, this is a great stepping stone to riding a scooter. 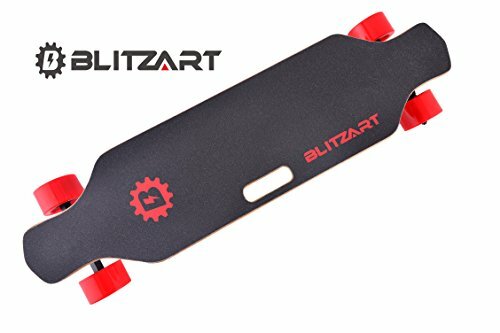 These scooter boards take you back to gym class where a rider can slide on the floor back and forth and even spin around. Features include non-marking wheels on casters and a solid deck foundation with cool graphic illustrations. The pricing is great at only $20 these scooters make great gifts for your kids and all the others in your family. 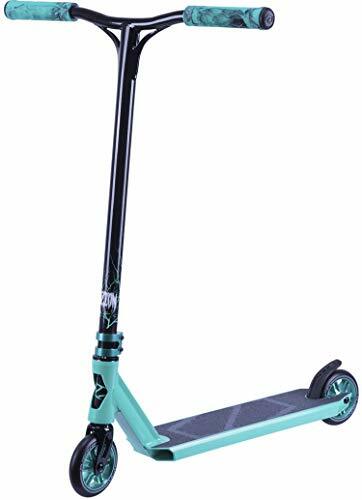 Designed for young riders, the Razor Jr. kids kick scooter has a three-wheeled design that helps build coordination and maintain balance. 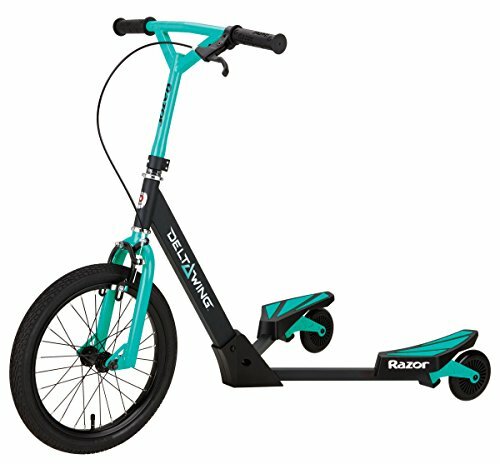 This scooter features a deck that is slip-resistant and a new folding mechanism that allows easy storage and transportation. If your kids are 3 to 5 years in age this is a great choice. Perfect for boys and girls the scooter comes in two different colors to accommodate your sons and daughters. Overall this is a great value scooter because it’s under $40 and is produced by arguably the largest scooter maker in the world.